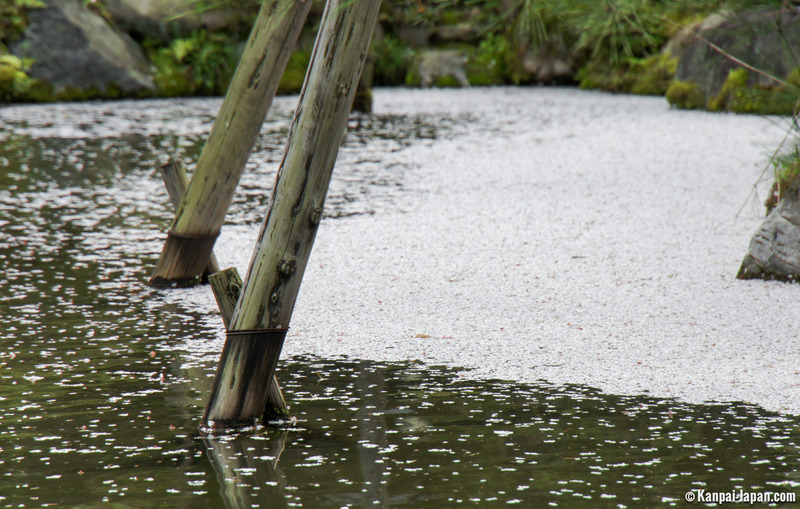 Tourists in Kyoto may not know Heian by its name, but many have at least passed before his most famous landmark: a 25-meters high vermilion torii gate located along Okazaki Canal, a few steps away from the main entrance. 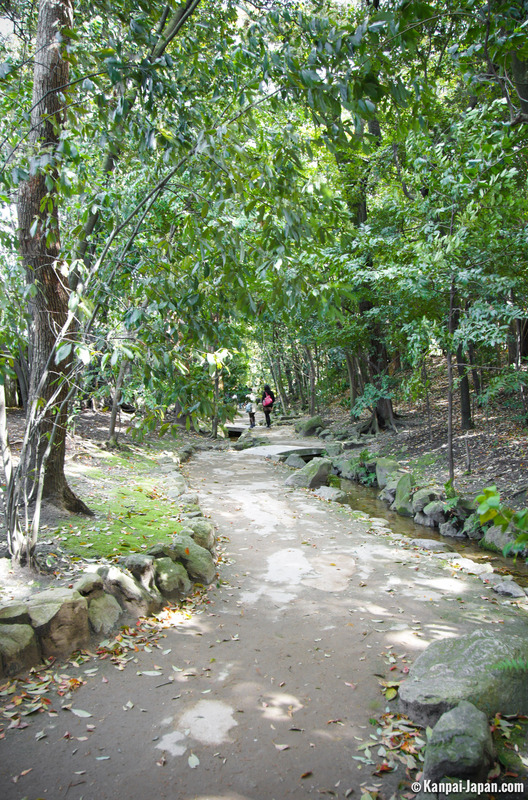 Located north-east of the city, it's often a stopover before or after visiting the Philosopher's path, only 20 minutes up north. 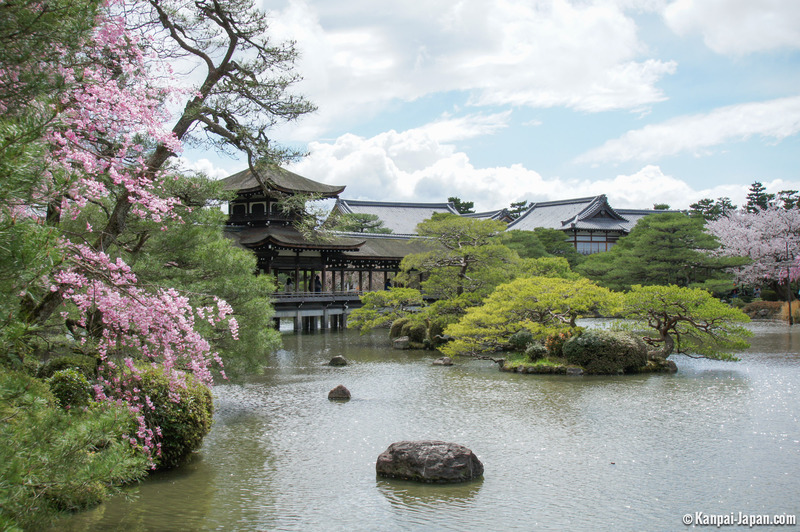 Amazingly built quite late in history, in 1895, Heian proudly holds both the former name of Kyoto and the one of the Japanese imperial court at the time. 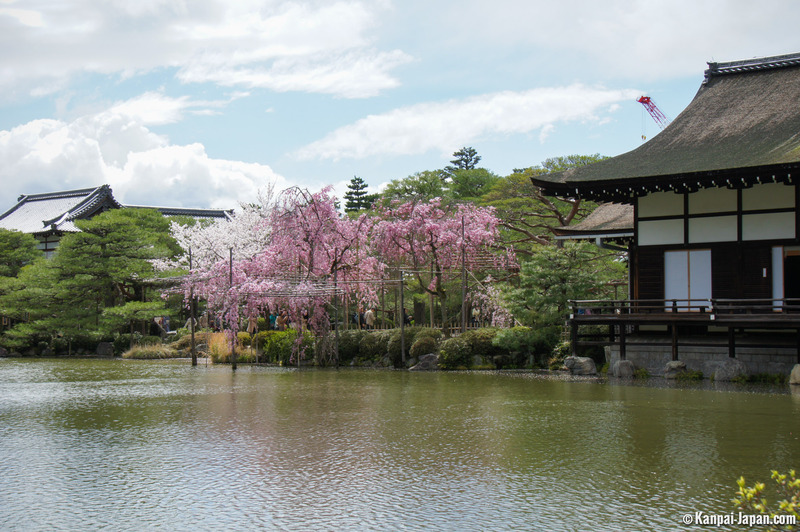 Celebrating the 1100th anniversary of its creation, it partially reproduces the Imperial Palace. 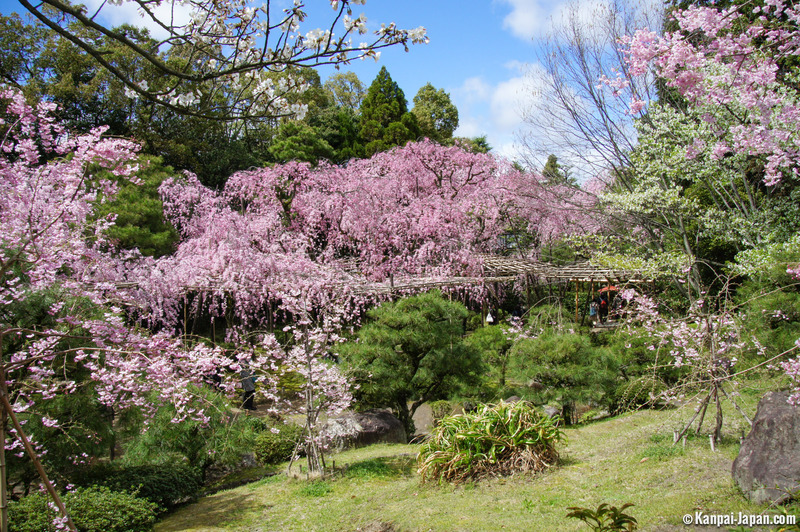 As a tribute, it also welcomes the arrival of Jidai-matsuri historical processions, every year on October 22. 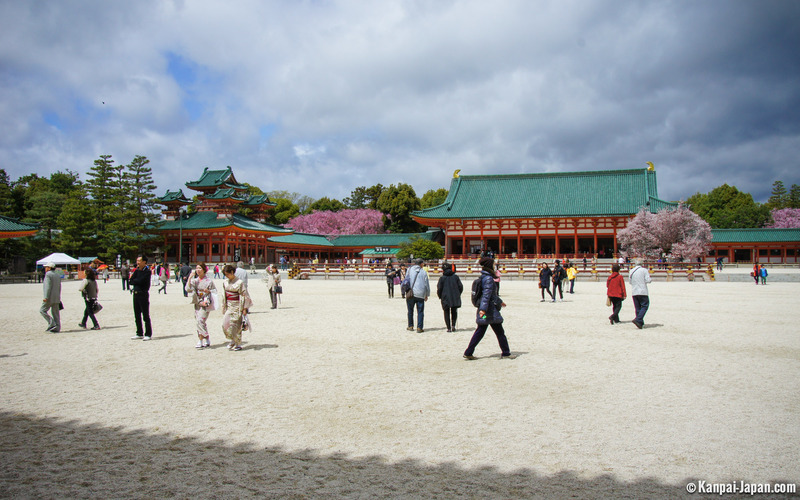 Heian-jingu is unique in that it opens on a vast esplanade strewn with pebbles, featuring its very stretched main building. 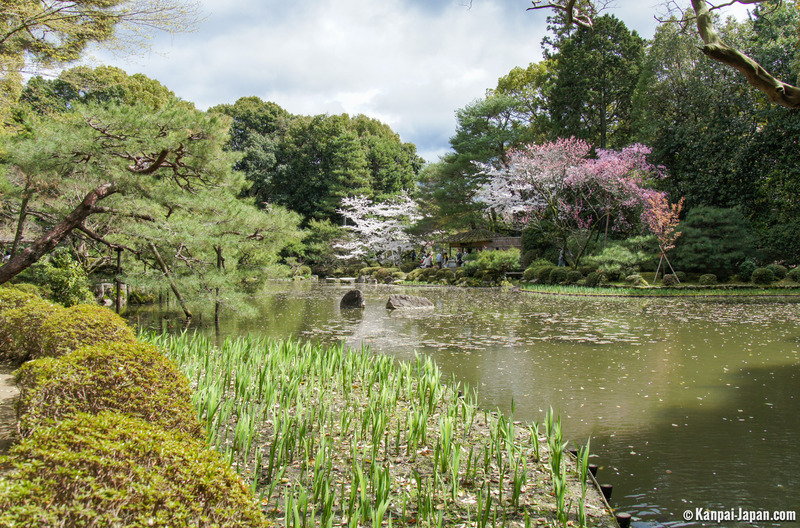 I get a feeling that a large number of visitors stop to this place, but its real jewel is behind, between its sublime interior gardens and ponds. 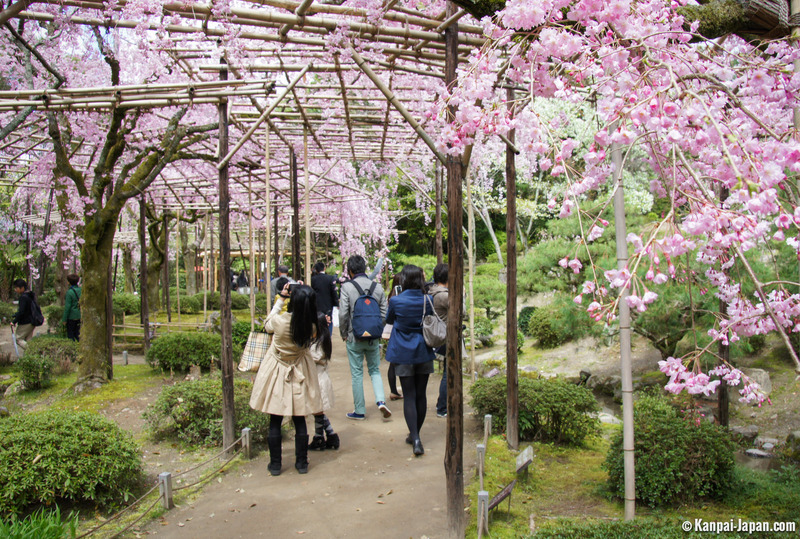 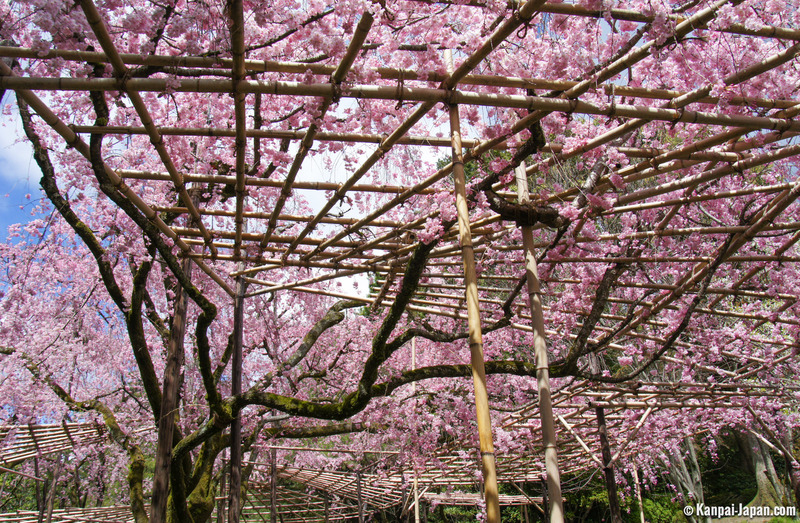 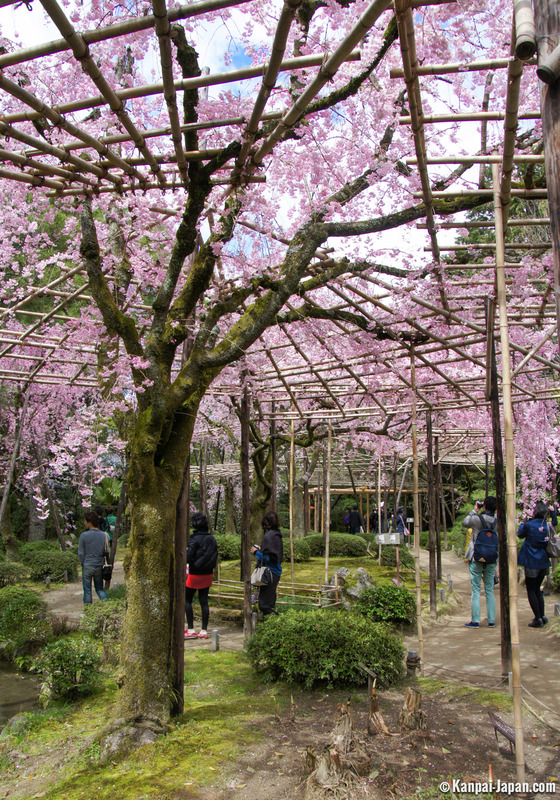 The visit reveals its true potential during late sakura season, when weeping cherry blossoms (called shidarezakura) drop their branches adorned with beautiful pink colors. 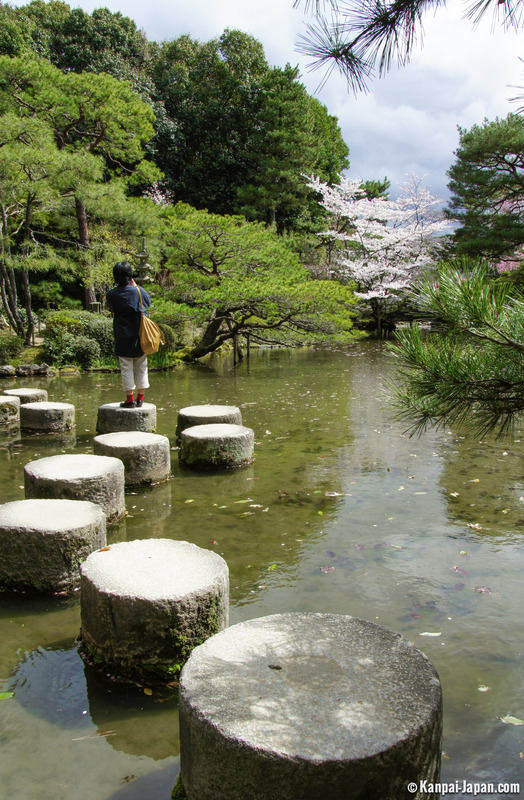 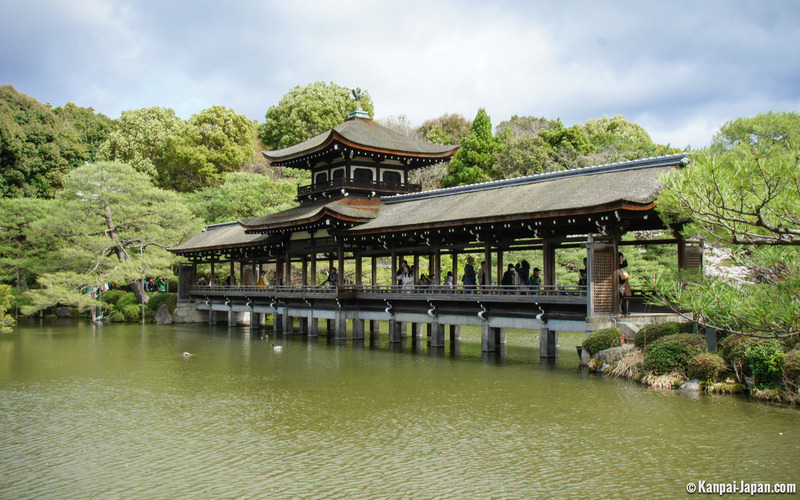 For the anecdote, Heian Jingu is the shrine that Scarlett Johansson's character visits in the movie Lost in Translation, the one where she hops from stone to stone to cross the pond.